Vermont Fish and Wildlife (F&W) announced that 47 anglers have achieved Master Angler status for 2016, including two notable Vermonters who successfully completed a difficult bonus challenge set by the department last year. Both youth participant Chase Stokes of Ferrisburgh and adult angler Drew Price of Colchester successfully tackled the Master Angler bonus challenge. They were the only anglers to catch and enter trophy-size lake trout, chain pickerel, fallfish, yellow perch and white sucker, which were preselected by the department for the challenge. The species represent the challenge categories of cold water fish, warm water fish, panfish, alternative fish and one “wild card” species. Stokes and Price were awarded gift cards to local tackle shops and will receive a commemorative lapel pin as part of earning the traditional Master Angler designation alongside the other 45 winners. The Master Angler program, which launched in 2010, was developed to recognize the achievements of anglers who catch trophy-size fish from Vermont waters and celebrate the growth and survival of such fish. The program also aims to encourage anglers to improve their knowledge of fish habitat and behavior, and develop the skills required to pursue and catch a wide variety of fish species. 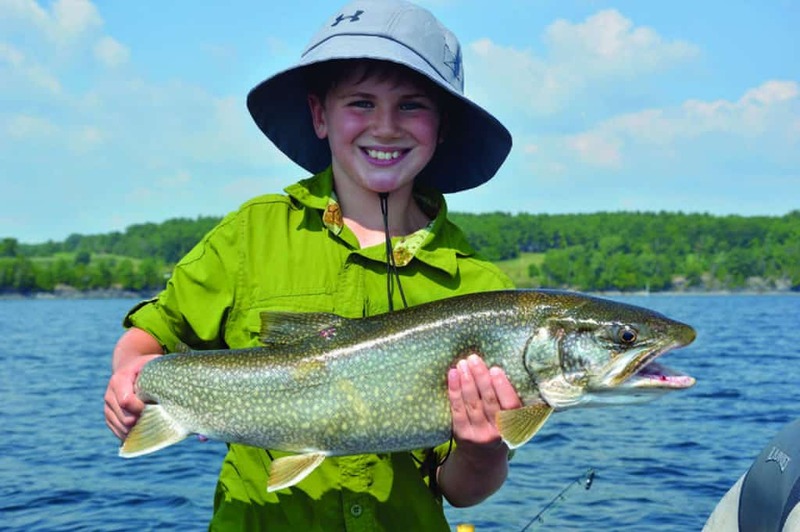 Aiden Good of Pittsford with a 29 1/2-inch lake trout he entered into the Vermont Master Angler program in 2016. The fish was caught and released on Lake Champlain.